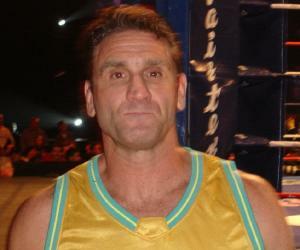 Ken Shamrock is an American Mixed Martial Artist and a retired professional wrestler. This biography profiles his childhood, family, personal life, MMA & wrestling career, achievements and some interesting facts. From a childhood full of poverty and trepidation to a celebrated career, Ken Shamrock is an American Mixed Martial Artist and a retired professional wrestler. His legendary career includes wrestling at the Ultimate Fighting Championship (UFC), World Wrestling Federation (WWF, now WWE), Total Non-Stop Action Wrestling (TNA, now GFW) and Pride Fighting Championship. Named as ‘The World’s Most Dangerous Man’ by ABC news during his early career, Ken has proved every bit of his title to be true. 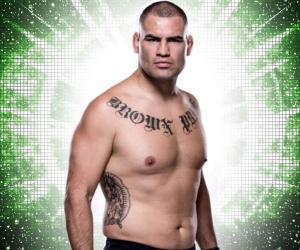 He became the First ‘UFC Super Fight Champion’ (later known as World Heavyweight Championship). He also became the first foreign MMA Champion in Japan after he won the title of ‘King of Pancrase’. He was the No.1 mixed martial artist in the world, and was considered the greatest one by many during his extraordinary career. In the WWE, he is a one-time ‘WWF Intercontinental Champion’, a one-time ‘WWF Tag Team Champion’ and the 1998 ‘King of the Ring’. As a TNA wrestler, he was one-time ‘NWA World Heavyweight Champion’ and a 2002 ‘Gauntlet for the Gold’ winner. One of the best wrestlers of his time, Ken had an amazing pay-per-view record in promotions and events. Kenneth Wayne Kilpatrick was born at the Robins Airforce Base in Warner Robins, Georgia. He lived there till the age of four. His father, Richard Kilpatrick, worked in the United States Air Force, and his mother, Diane Kilpatrick was a dancer and a waitress. Shamrock had three brothers. After his father abandoned the family, his mother married an army aviator, Bob Nance, and they all moved to Napa, California. Coming from a poor background, it wasn’t easy to fit in his new environment, so Ken, along with his brothers turned to drugs. 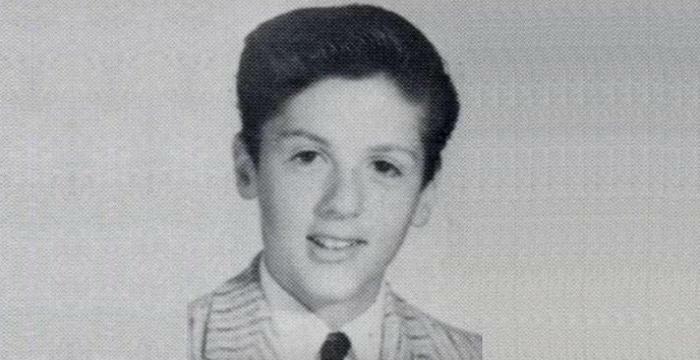 He also got involved in sports, and played ‘Little League Baseball’ and ‘Pop Warner football’. He was a natural at athletics, and his stepfather was told by a coach that Ken had amazing skills, and was extraordinarily good at sports. Ken had a terrible childhood where he often got involved into fights without any help or supervision from his parents. At age 10, Shamrock also got stabbed several times during a robbery, and was sent to a Juvenile centre. At 13, his stepfather kicked him out of the house, and Ken lived in cars until he found a foster home. He was later placed in ‘Bob Shamrock’s Boys Home’ in Susanville, California. He turned his life around after he moved into that house. He was also legally adopted by Bob Shamrock as his son, and he changed his surname to Shamrock thereafter. He went to ‘Lassen High School’, and excelled in football as well as wrestling. He broke his neck during a fight while qualifying for state championships and doctors told him that full recovery was not possible and his career was almost over. Later, he joined ‘Shasta College’ and became the captain of the football team, and was offered a try out by San Diego Chargers of the ‘Football National League’ but Ken turned down the offer to pursue wrestling. Clearly, he proved the doctors wrong. He made his debut in 1989 in the ‘South Atlantic Pro Wrestling’ promotion, and continued moving forward to become a professional wrestler. Between 1990-97, Ken travelled to Japan (where he competed in the’ Universal Wrestling Federation’ and ‘Pro Wrestling Fujiwara Gumi’) and Miami to exhibit his skills, and was given various tryout names like Wayne Shamrock, Vince Torelli, and ‘Mr Wrestling’, while he was also introduced to MMA style of wrestling. On February 24, 1997, he entered the WWF (now WWE) as a fan favourite at ‘Monday Night Raw’. On March 23, 1997, he was titled by BBC as ‘The World’s Most Dangerous Man’ due to a submission match between Bret Hart and Steve Austin at Wrestlemania 13. 1998, he went into a feud with ‘WWF Intercontinental Champion’ The Rock. He lost to him in Royal Rumble via disqualification, but defeated him via submission at WM XIV, and became a ‘WWF Intercontinental Champion’. In June 1998, he won the ‘King of the Ring’ via eliminating Mark Henry, The Rock, Jeff Jarrett. His next memorable encounter was with Owen Hart, who defeated Shamrock in a ‘Hart Family Dungeon match’ at Fully Loaded, and Shamrock defeated Hart in a ‘Lion's Den match’ at SummerSlam. He also became a dual champion by winning ‘WWF Tag Team Championship’ with The Big Boss Man by defeating ‘New Age Outlaws’. In 1999, he lost his championship to Venis, but again participated at WM XV for ‘Intercontinental Championship’. However, he lost to Road Dogg in a four-way-bout. His next rivalry began with ‘The Undertaker’, where he was pitfalled by the Ministry of Darkness, while his kayfabe sister Ryan was kidnapped and sacrificed under ‘The Dead Man’s’ symbol. His feud continued at the ‘Backlash’ where he lost to ‘The undertaker’. He went into feuds with Steve Blackman and Chris Jericho before departing from the WWF in late 1999, and going back to MMA. In may 2002, he made his TNA debut and won the vacant ‘NWA World Heavyweight Championship’ in a Gauntlet for the Gold match, and is recognized as TNA's first ever World Champion. He left TNA shortly after. Ken made his UFC debut on November 12, 1993 against Royce Gracie for the first UFC event-UFC 1. The ‘light weight’ Royce made Ken choke and tap within 60 seconds. In 1994, Ken swore to avenge Royce in UFC 2, but broke his hand, and Royce Gracie won the match. In UFC 3, on September 9th, 1994, Gracie withdrew due to dehydration. In 1995, Shamrock finally faced Royce in a match that became a draw with Shamrock lying on top of Gracie. On July 14, 1995, he faced UFC 5 champion Dan Severn to become the reigning champion of UFC at UFC6. The ‘big fight’ between the ‘best of the best’ ended when Severn walked out of the door, since all the attention was focused on Shamrock, and he became the first ‘UFC Super Fight Champion’ (later replaced by UFC Heavyweight Championship). In 1994, he won the ‘Pancrase Championship’ in Japan. A year later, he lost the title to Suzuki. In September 1995, he successfully defended his title against Oleg Taktarov, ‘The Russian Bear’. Shamrock also defended his belt against Kimo Leopoldo at UFC 8 in 1996. On May 17, 1996 in what was called ‘The Dance in Detroit’, Shamrock faced Dan Severn in a much promoted event. After being told minutes before fight that head butts and strikes to head were illegal for the match, Shamrock decided not to fight, but the pressure of monetary loss made him change his decision. Both the contenders circled in the ring for 30 minutes, without any contact. Shamrock lost to Severn via split decision which did upset shamrock as he felt that Severn broke the rules, and later stated that this fight was the biggest regret of his professional life. In December 1996, he entered the ‘UFC’s Ultimate Ultimate’. He even appeared on American Talk show, ‘Late Night Show with Conan O’Brien’ to promote the event. He choked his opponent Brian Johnston, and won, but broke his arm. In November 2002, at UFC 40, after nearly four years hiatus, Shamrock returned to face Titi Ortiz after his infamous altercation with him ( at UFC 19). It was a title match for UFC Light Heavyweight Championship, where Ortiz dominated the fight and defended his championship. On November 21, 2003, he was inducted as the ‘UFC Hall of Famer’ at UFC 45. He was the first Hall of Famer inductee, along with Royce Gracie. In June 2004, he fought Kimo Leopoldo, and won the fight at UFC 48, at the age of 40. 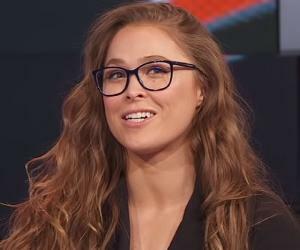 He signed with ‘Pride Fighting Championships’ and ‘Ultimate Fighter Season 3’ in 2000 and 2005 respectively to continue his interest in MMA and wrestling. On April 9, 2005, at ‘The Ultimate Fighter’ finale, Shamrock faced Rich Franklin but lost via KTO. In early 2007, Shamrock became the coach of the Nevada Lions for the International Fight League (IFL). In February 2009, he co-promoted an event, with War Gods, in 2015 and participated in ‘Impact Fighting Championships in Sydney, before he returned to Bellator MMA to face rival Royce Gracie in a trilogy match; Gracie won the fight in the first round. On March 11, 2016 it was revealed by ‘Texas Combat Sports Commission’ that Shamrock had failed his pre-fight drug test, so his license to fight was revoked. 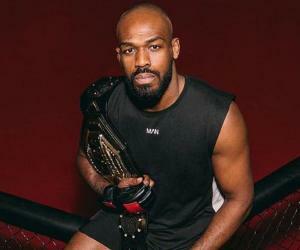 He was the first ‘UFC Super Fight Champion’. He is a UFC Hall of Famer (Also, the first inductee)&He won the UFC Viewer’s Choice Award in 2003. He won ‘King of Pancrase’ in 1994. He became ‘’Pride Grand Prix Super Fight winner in 2000. He won ‘MMAA Heavyweight Championship’. He was named ‘ MMA Hall of Famer’ by sherdog.com. In 1997, he became ‘Most improved Wrestler of the Year’. He became ‘South-Atlantic Pro Wrestling Heavyweight Champion’. He won the ‘NWA World Heavyweight Championship’. He won ‘WWF Intercontinental Championship’ in 1997. He won ‘WWF Tag Team Championship’ with Big Boss Man. He became the ‘WWF King of the Ring in 1998. He won the ‘WWF Intercontinental Championship’ in 1998. In 2002, he won ‘Gauntlet of the Gold’ under TNA Wrestling. He is married to Tonya Shamrock since February 27, 2005. They have three children. This is his second marriage.